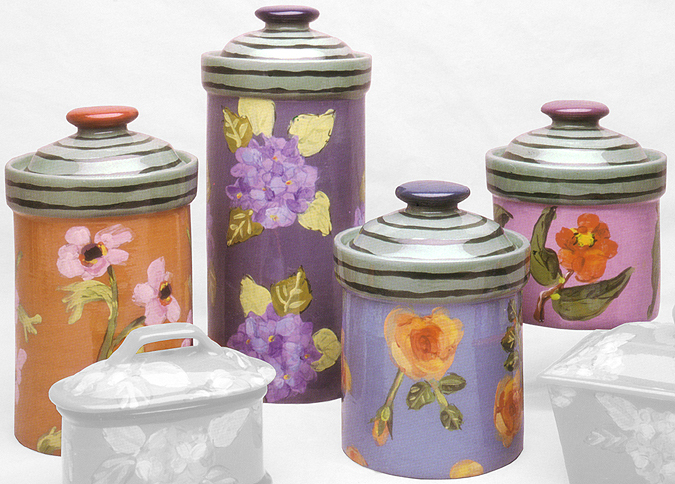 Fall Floral Canister Set- X-Large Canister 5 1/4" wide 12" tall. Large Canister 5 1/4" wide 9" tall. Medium Canister 5 1/4" wide 7" tall. Small Canister 5 1/4" wide 6" tall. Individual pieces can also be ordered below.